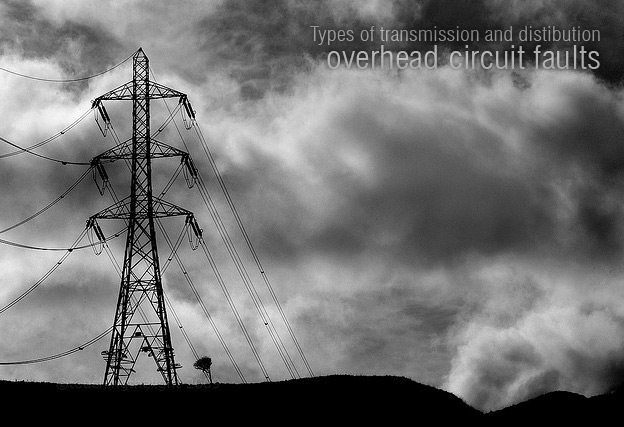 Overhead (OH) Transmission circuits are usually HV level (110kV or 115kV and more) to EHV levels (230kV and beyond) and UHV levels (765kV and beyond). OH Distribution systems involve sub-transmission system circuits like 66kV down to 11kV….some times as low as 3.3kV. These are tall structures and have insulators with larger creepage distances and clearances. Faults on OH lines of these levels, therefore, are rare. Rarest faults of faults are between phases and involving three phases. Common faults are single phase to ground faults are mostly due to flashover across insulator due to some surges (BIL are much higher than typical lightning surge and hence are conducted away by surge arresters… making switching surges as major cause of flashovers). Nevertheless, flash over across insulator on lightning are not uncommon in areas of higher keraunic levels. The keraunic level describes the lightning and thunder activity in a given area. It is defined as the annual number of days where thunder can be heard. This number in some areas will vary a lot, and the keraunic level is the long-term average. In temperate regions the value is 10 to 30; in the African rainforest values exceeding 180 can be reached. where Td is the keraunic level. In application, the keraunic level has been used to set standards for safe design of electrical systems in structures connected to the local power grid. Lower end of EHV level circuits do get faults often (220kV, 230kV) which are transient single phase faults. 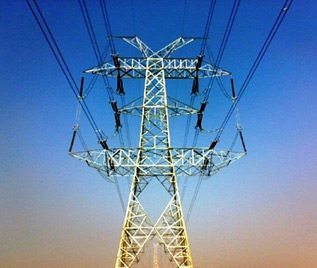 Few 380kV, 400kV systems in high thunderstorm areas also get such faults. In one of the utilities I worked with before, there used to be transient faults on long 230kV transmission lines (280km or so) running through desert. Those faults used to be created by (believe it or not) by big birds nesting on steel pylons. The birds used to carry long metal wires for nesting (strange, but lots of nets retrieved and some were kept in Transmission department). These lines were weak and fault currents used to be much smaller than conductor continuous rating [Twin Drake ACSR 795kcmil] and hardly used to be any telltale markings anywhere along the route. Travelling wave based fault locators were installed to locate faults. I had prepared Auto-reclosing settings for these 230kV radial lines [with long dead time of 10 seconds – as intention was to auto-restoration rather than auto reclosing as always two lines existed and load was not an issue as it was small load..hardly couple of hundred MW… one line was sufficient in all cases]. For EHV OH Transmission lines (T/L) Auto-reclosing is applicable and auto-reclosing is often applied successfully. Usually 3-pole, 1-shot reclosing is applied. When system stability of is a concern, 1-pole/3-pole, 1-shot, auto-reclosing is often applied (1-pole reclosing needs a bit of further study to rule out phenomena like resonance, Turbo-Generator shaft fatigue etc. 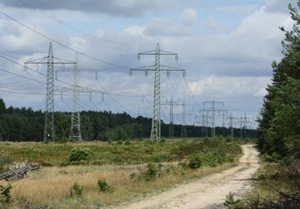 These transmission lines are not as tall as EHV system lines and transient singe phase faults are very common. In Middle Eastern countries, dirty insulators, saline atmosphere causes quite large numbers of such faults on HV OH T/L during heavy fog or light rain drops. Transient single phase to ground faults are most common types of faults. Some transient faults also occur when there is hot-washing performed on dirty insulators. When single wooden poles are used, ageing related structure failures cause some permanent faults. 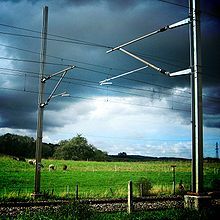 Other faults which occur on these lines are semi permanent in nature like bridging conductors by tree branches, animals (snakes, birds etc), tall equipment crossing underneath the T/L. Some of these bridging faults often get burnt away by fault current or cause intermittent faults. For HV OH Transmission lines (T/L) Auto-reclosing is applicable. Almost always 3-pole auto-reclosing 1 or 2-shot is applied successfully. These OH Lines are usually applicable to rural feeders and often get all kinds of faults due to closeness to load centers. The lines which pass through thick vegetation get semi permanent faults also. Transient faults are fairly common. Catastrophic failures, fire etc can occur in some cases when there is repeated unsuccessful reclosing. Occasionally, distribution Transformers fail (explode, damage) due to thermal failures due to repeated reclose attempts. Pole-mount electronic or hydraulic reclosers are fairly common in distribution feeders (single-pole or three-pole). Some long distribution feeders will have a number of pole-mount reclosers installed along the length of feeder and these reclosers are coordinated for fast-slow sequence trip and reclose sequences in addition to a main recloser at distribution substation (only recloser closest to fault recloses first on ‘fast trip and reclose’…while upstream reclosers keep track of the fault current and associated downstream clearing action but trip only delayed if downstream recloser did not trip. Based on fault study a number of fast, slow trip and reclose sequence are assigned to individual recloser in the feeder. For OH Distribution lines, Auto-reclosing is applicable and is often successful. Auto-reclosing can be 3-pole or 1-pole, 2-shot or multi-shot. You are right, most of the transmission line single phase to ground fault caused by big birds and snakes in forestry areas, we experience 108 earth fault per year because of big birds and snake in our system 33 KV transmission line. In order to mitigate this issue, we insulate the ACSR by PVC, two meters from the isolators in any tower in each side. So the number of faults per years reduced.